Time was a struggle when planning our North Coast 500 adventure. 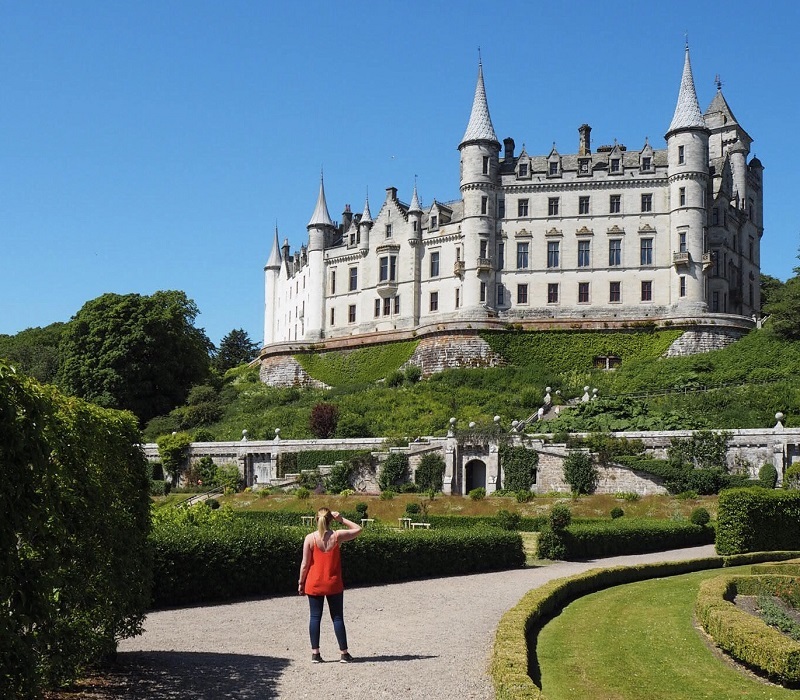 As we only had 5 nights to spend touring the Scottish highlands, we had to narrow down a long list of must see spots. 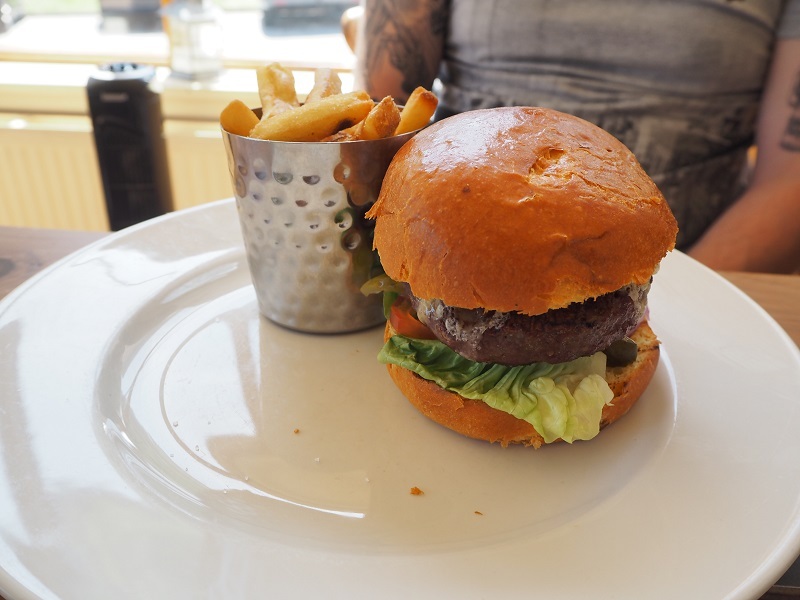 Luckily we have friends who live along the route which meant we could base our choices on their recommendations as well as squeezing in visits with them! 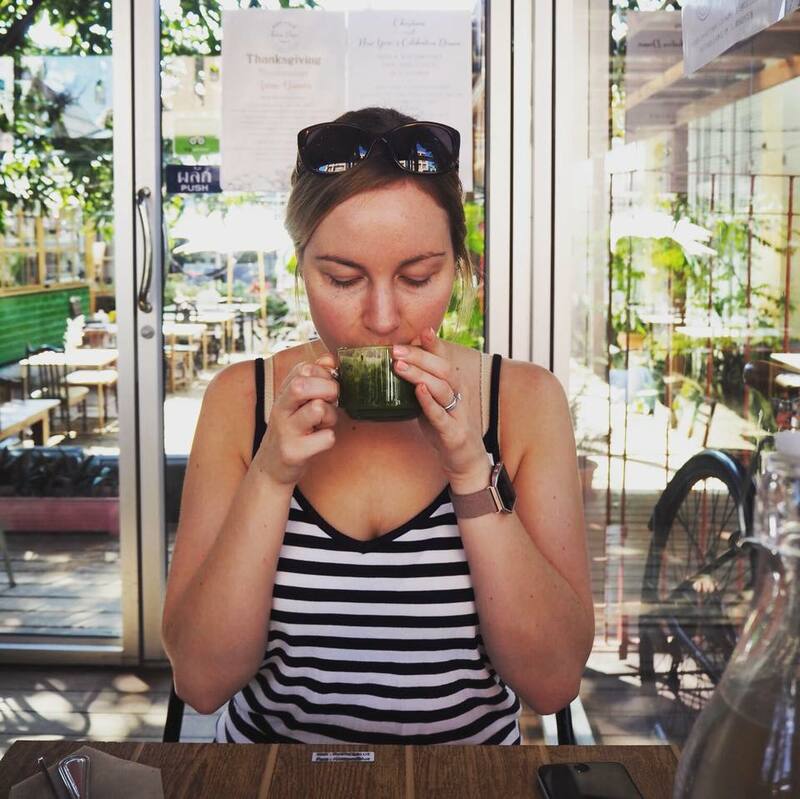 To help you plan your own trip, I thought I'd share our highlights in the order we visited them. We travelled from Aberdeenshire to Inverness, opting not to spend time here as we'd been before, albeit a very long time ago. From there we headed straight to the west coast, which turned out to be our favourite! 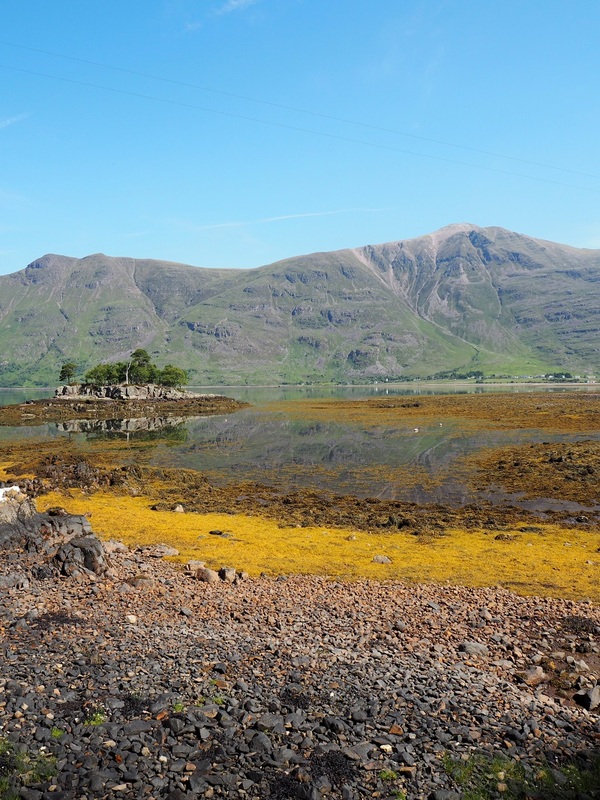 We made a few stops between Applecross and Gairloch, deciding to stop at the Torridon Inn for a walk and pub lunch. 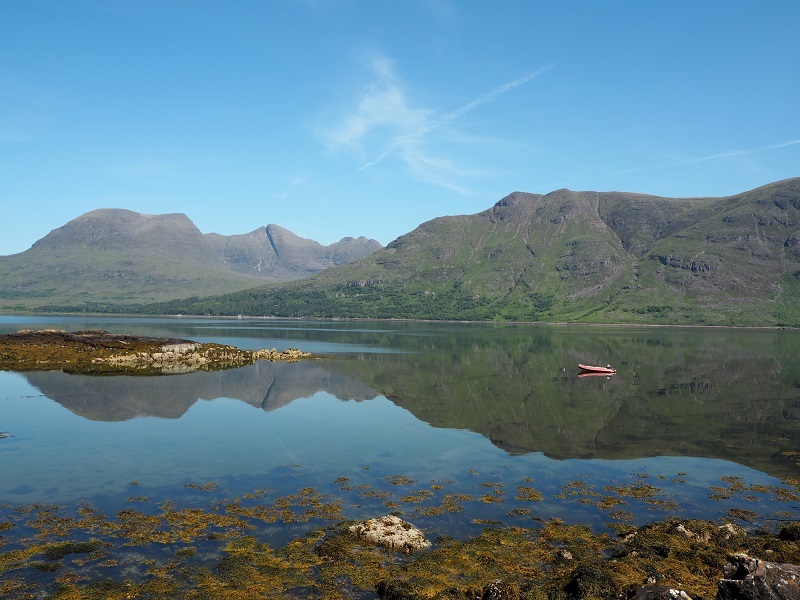 The food was delicious although service was a little slow, but the views across the loch on our walk were the highlight! 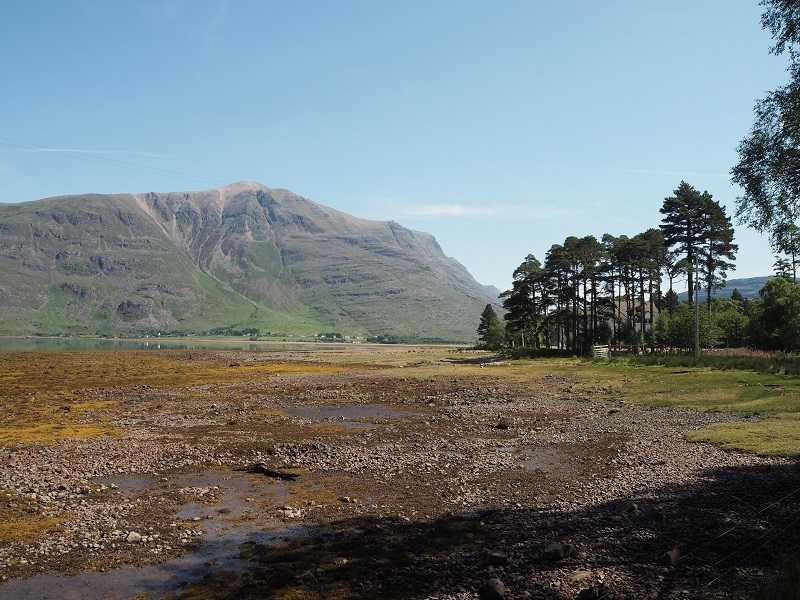 I'd love to spend more time exploring here and bag a couple of the Torridon munros, but that's an adventure for another day. 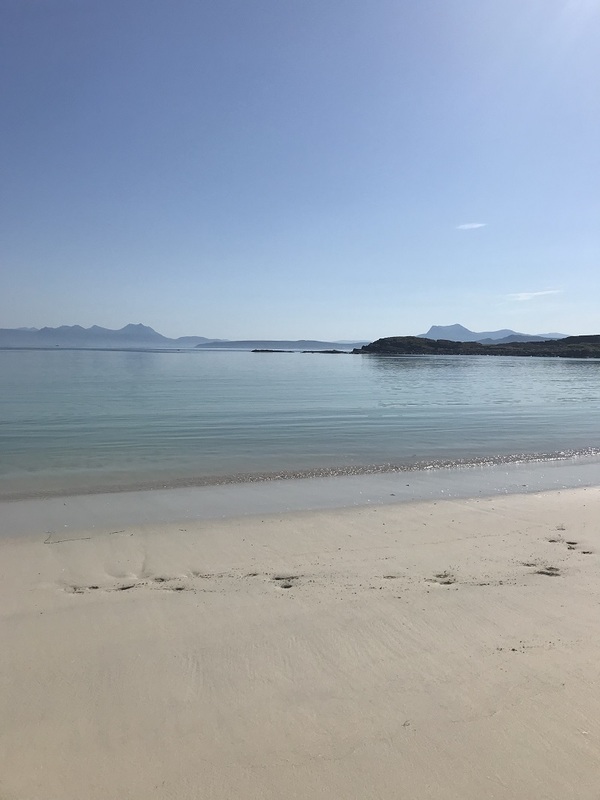 The scenery on the west coast is unrivalled and you're going to have to allow yourself plenty time to get from one place to another - purely for the fact you will stop in awe of everything! Look out for the brown tourist signs along the road so you don't miss viewing points and hidden gems like Victoria Falls. Don't expect to find these blue skies though; we struck lucky with our timing and drove the NC500 during a very unusual Scottish heatwave! 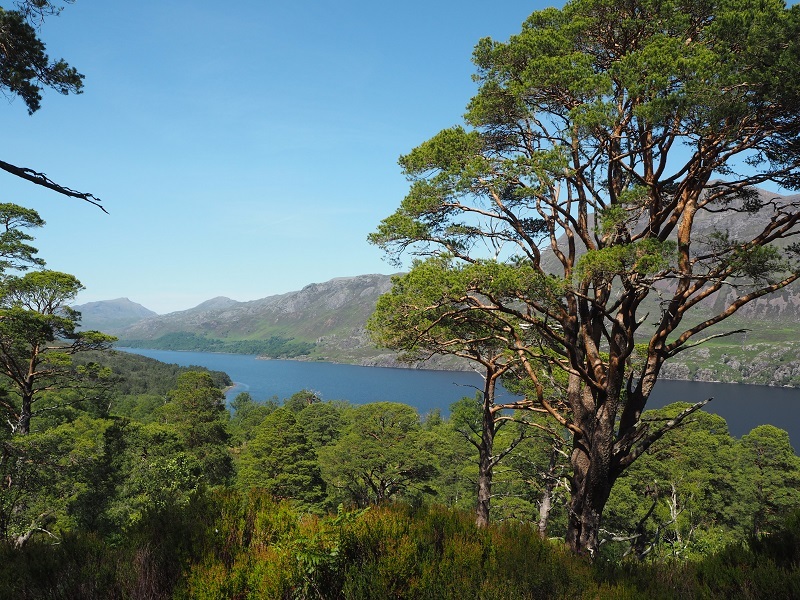 Wanting to take in views of Loch Maree, we stopped at the Coille na Glas-Leiter car park where we found two trails sign posted. Opting for the woodland walk over the mountain trail, we started to worry we'd gone the wrong way when the path seemed to be climbing higher and higher! Fortunately it soon came back down again, and the 2.5k route took us only 20-30 minutes. It didn't however take in much of the loch. 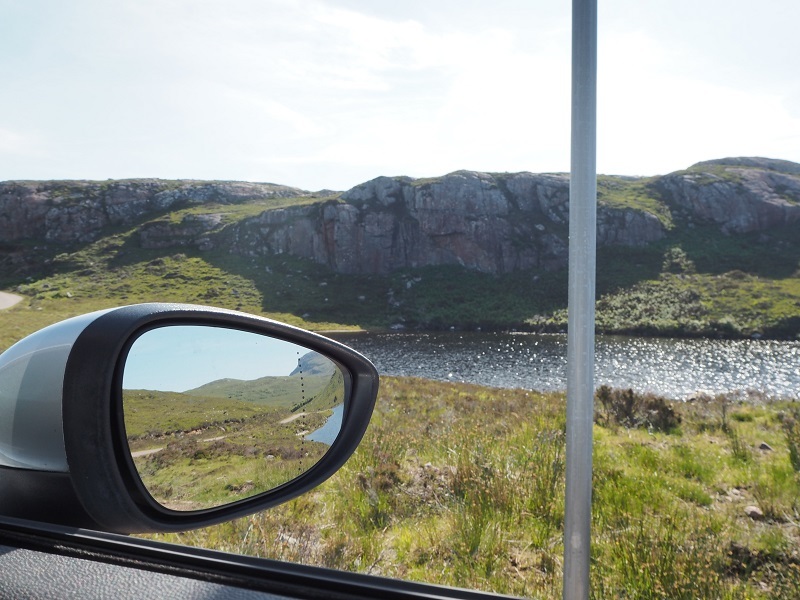 If we'd kept driving a bit further we'd have come across the Slattadale car park which I believe is better for loch views. 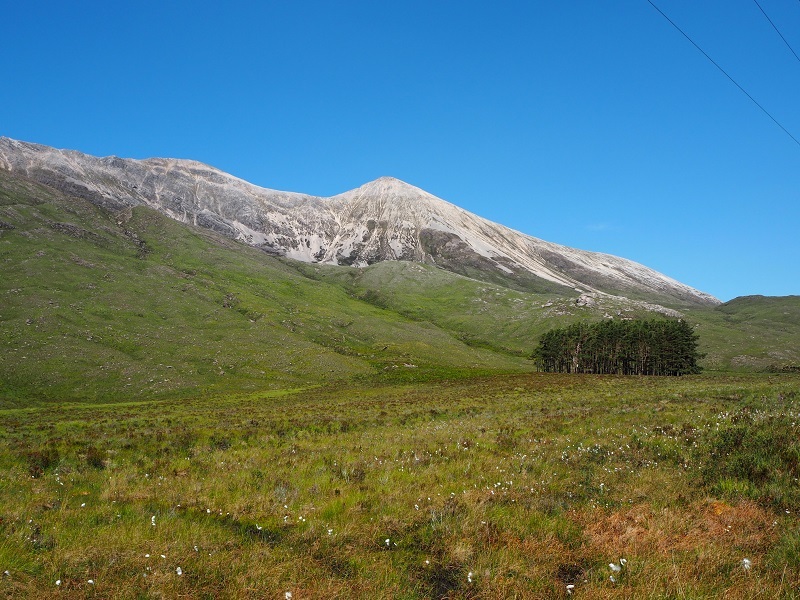 This is all part of the Beinn Eighe national nature reserve which also has a visitors centre nearby! 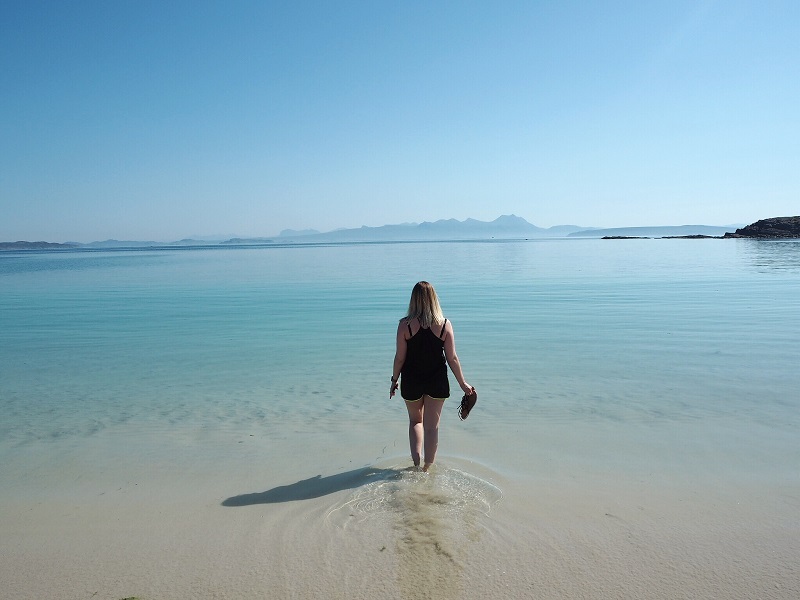 After a night of BBQ's and far too much gin in Gairloch, we took a little detour from the route to reach the highly recommend Mellon Udrigle beach. It's a beauty! Sheep were roaming freely and we met only two other couples as we spent the morning paddling in the sea. 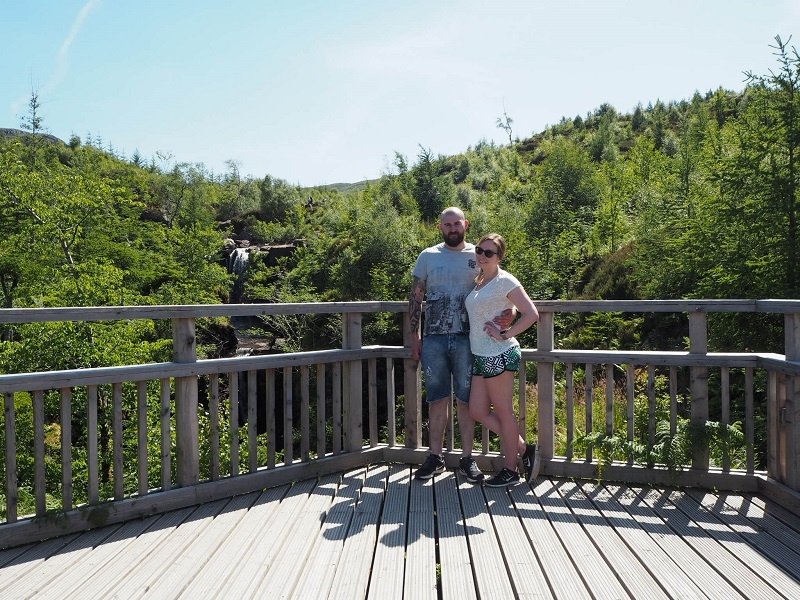 It felt like we were somewhere way more tropical than bonnie Scotland! 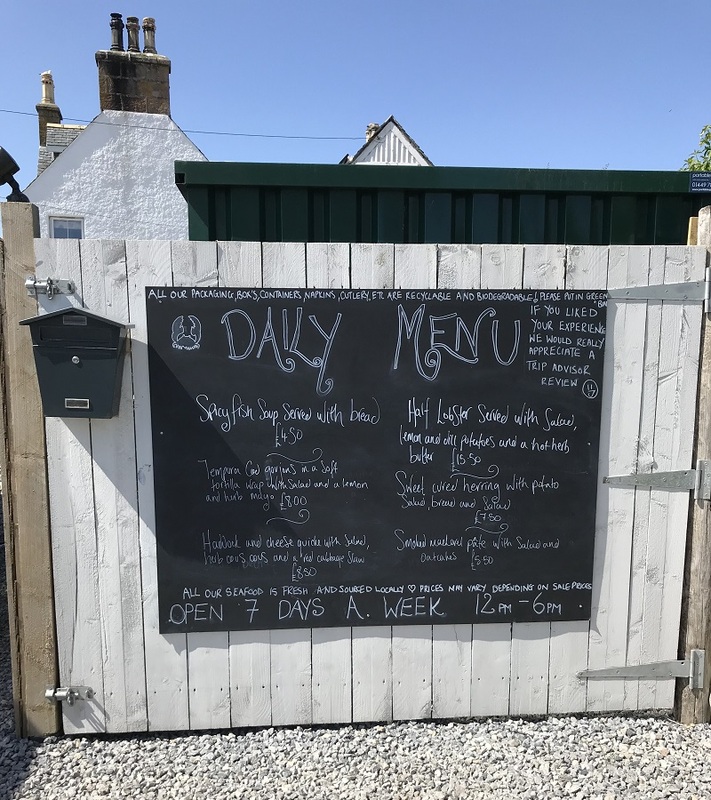 As we were camping along the NC500, we mainly used our wee stove to cook meals but day three's lunch was one we were told not to miss! 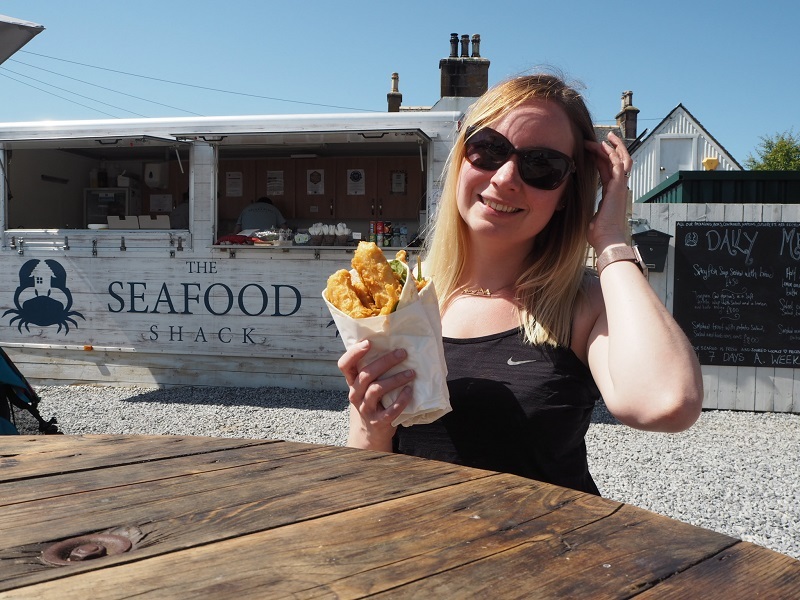 The Seafood Shack in Ullapool serves up local seafood and shellfish, cooked fresh in the shack and served in a cute wee outdoor space. I love the sound of their mussels, the scallops with chorizo or lobster mac & cheese but as they only serve what's landed locally that day, these weren't available. We both opted for the tempura cod goujon wrap but will hopefully get the chance to try something a bit different next time! 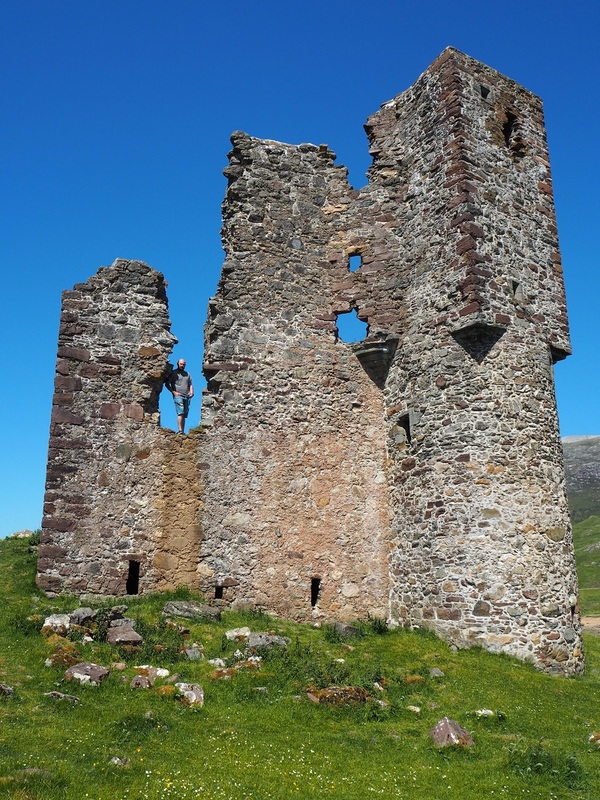 I'm a big castle geek, which is only a good thing when you live in Aberdeenshire - the home of Scotland's castle trail! Up in the highlands however, there aren't quite so many so I had to stop at Ardvreck! 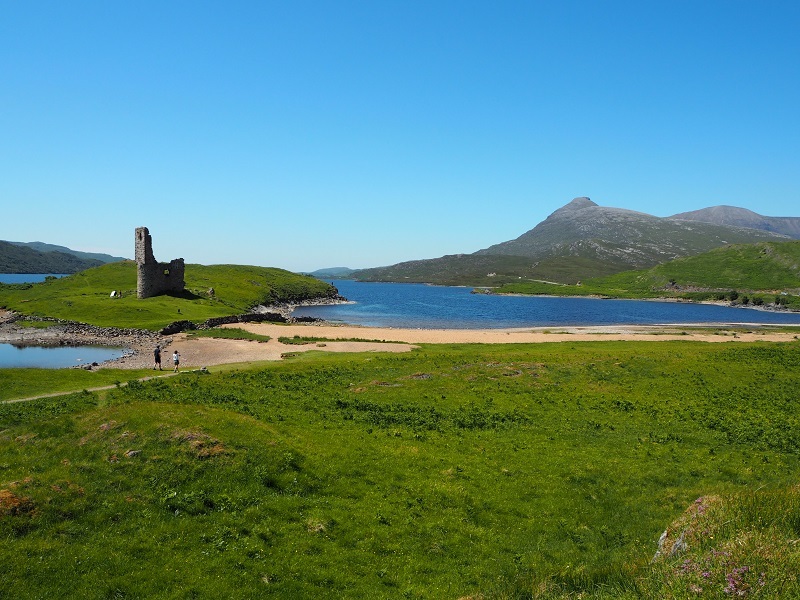 Located on the banks of Loch Assynt, the Macleod's 15th century castle is now a ruin, but with that landscape it's still a thing of beauty! There's a roadside car park with a path leading straight to the castle, and a short walk away is Calda House too. 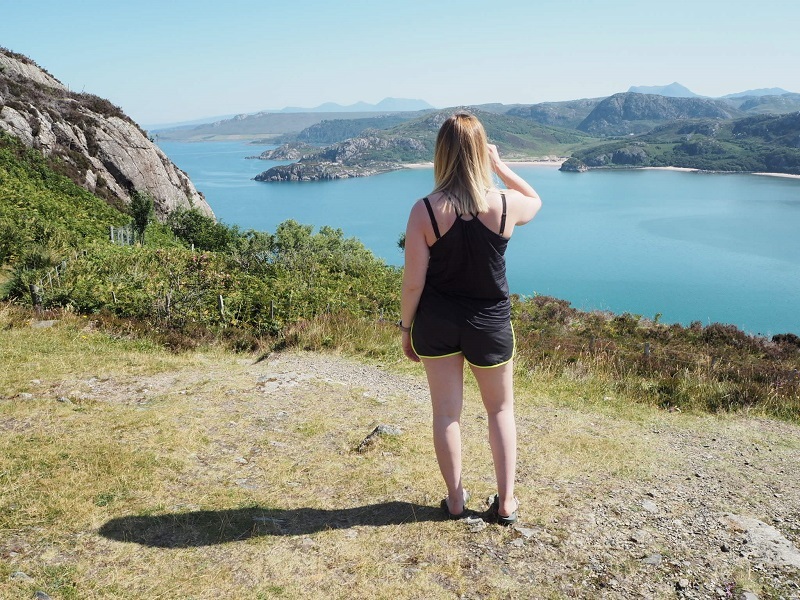 Around Lochinver is some of the most picturesque scenery I've ever seen. Just north of the village you'll find Achmelvich Bay. 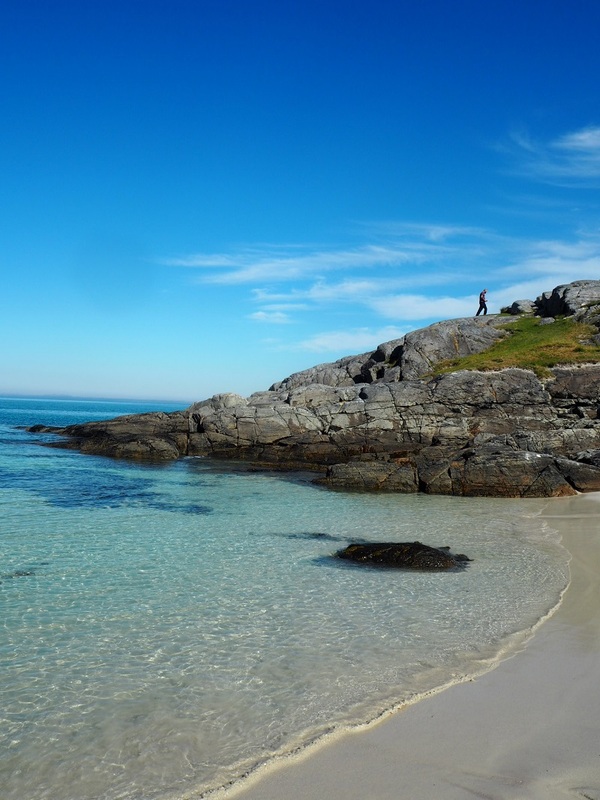 It's one of the most stunning beaches on the NC500, along with nearby Clachtoll which you must stop at next. 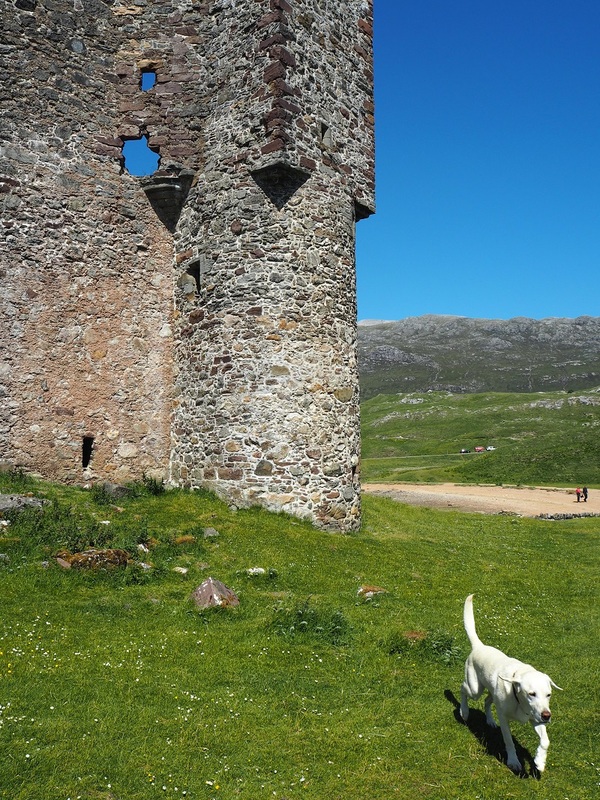 Hidden away in the hills behind the caravan park at Achmelvich is what's known as the smallest castle in Scotland. 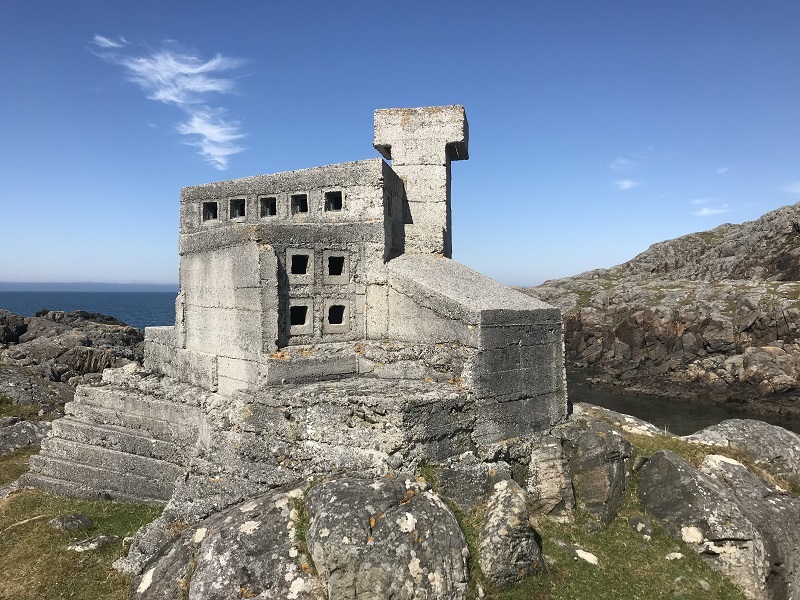 The story goes that an Englishman spent months building this one man shelter on the cliffs in the 1950's, only to spend less than a week there and abandon it! 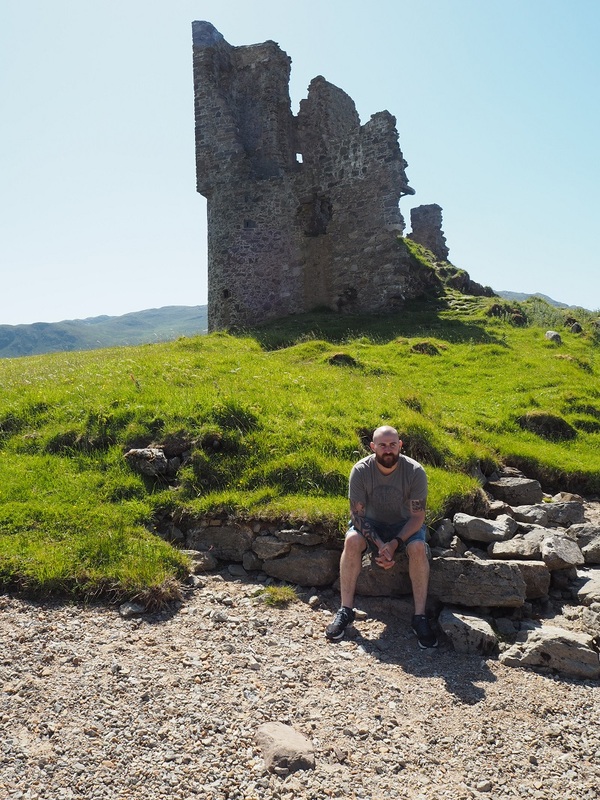 It's an easy wee hike up to the castle but do be careful as you can only step inside through a tall, narrow slit like doorway on the cliff edge. 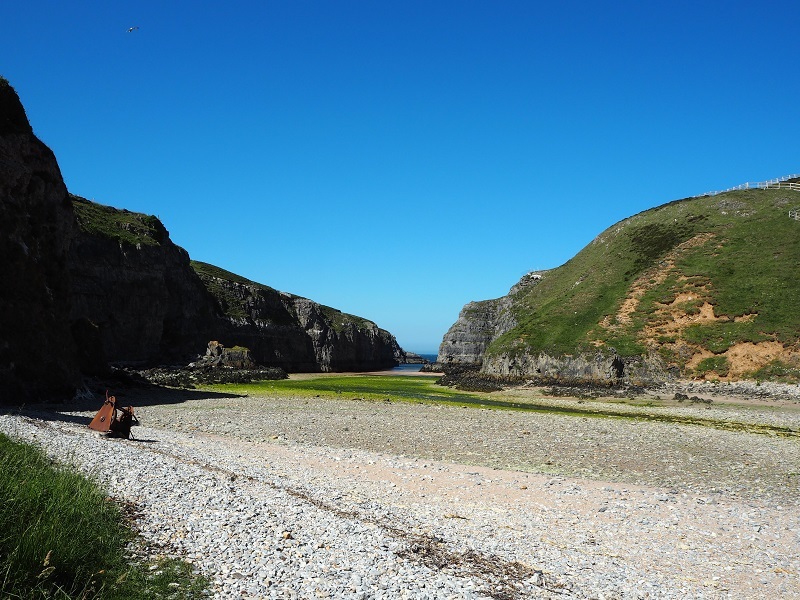 From our Clachtoll campsite we reached Durness on the North coast (check out Cocoa Mountain for the best hot chocolate, apparently!) 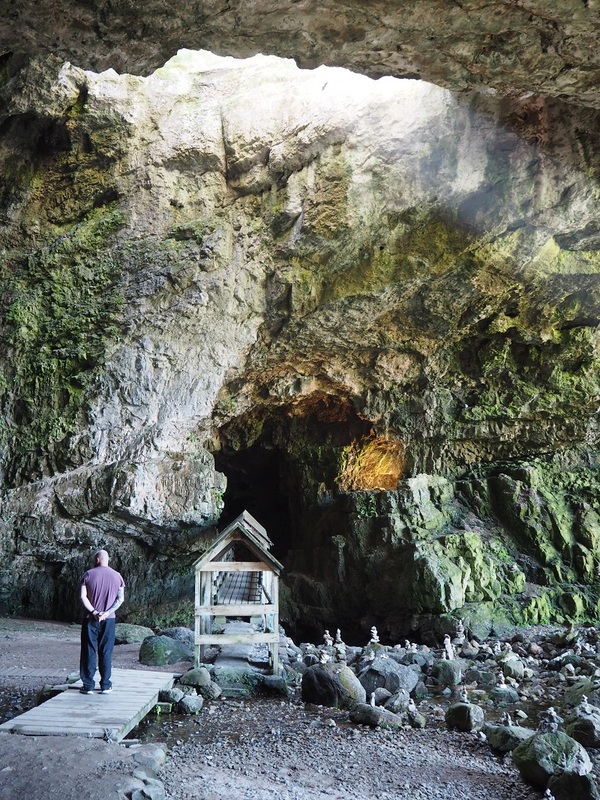 and our next destination; Smoo Cave. Gordon was looking forward to this one! 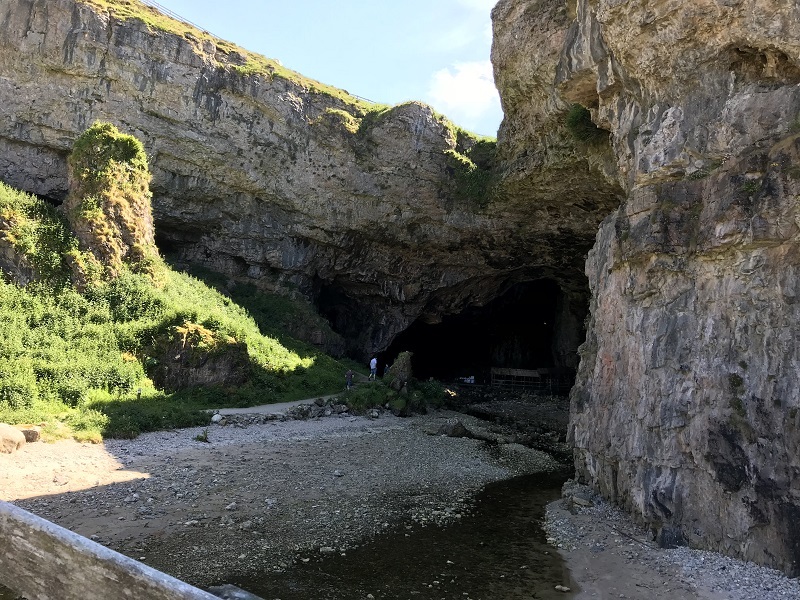 A sea cave formed by erosion from the North sea, it joins with a freshwater cave to create this incredible dramatic space, with a waterfall cascading down through the roof. Natural light beams in highlighting it's beauty even more. 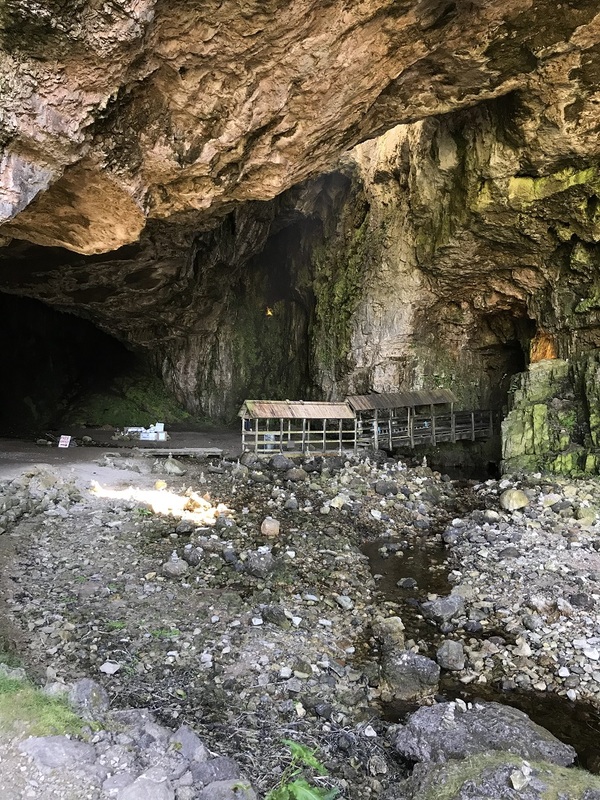 You can take a tour into the cave to see the inner chambers in their full glory, although we decided not to. I knew from the start that I wanted to bag a munro during our North Coast 500 tour. 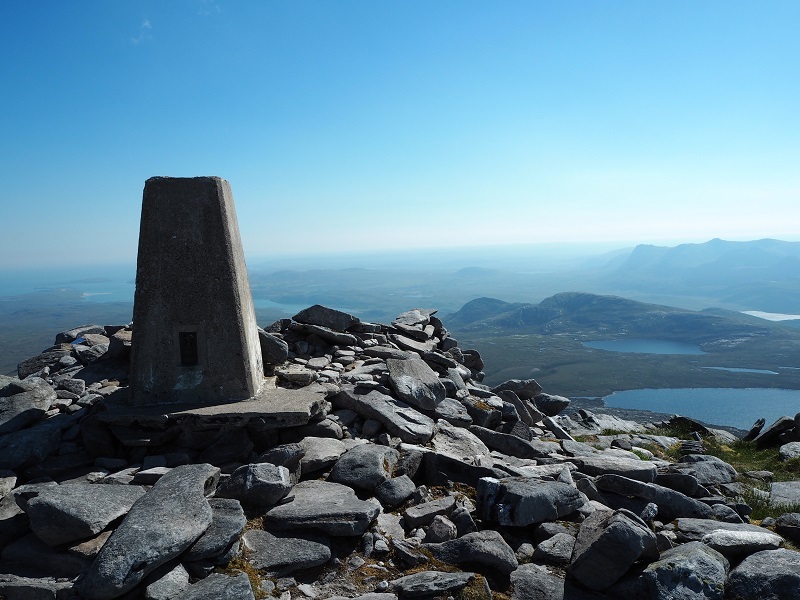 There's some amazing mountains on the West coast but when I read about Ben Hope, I knew it was the one! 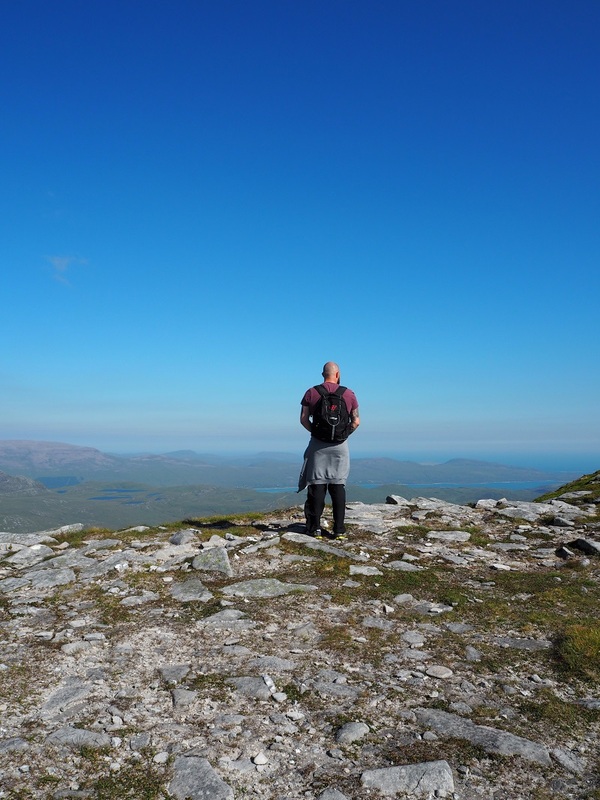 What better to climb than the most Northern munro in Scotland? Heading a little off the official NC500 route from Durness, we detoured down to Loch Hope and wild camped for the night. We were up bright and early and had reached the top by 10am! It's a steep climb, and I struggled on the way up - I think I moaned the whole way! But it's also a quick one, taking us about 5 hours in total, so didn't take us off plan too much. 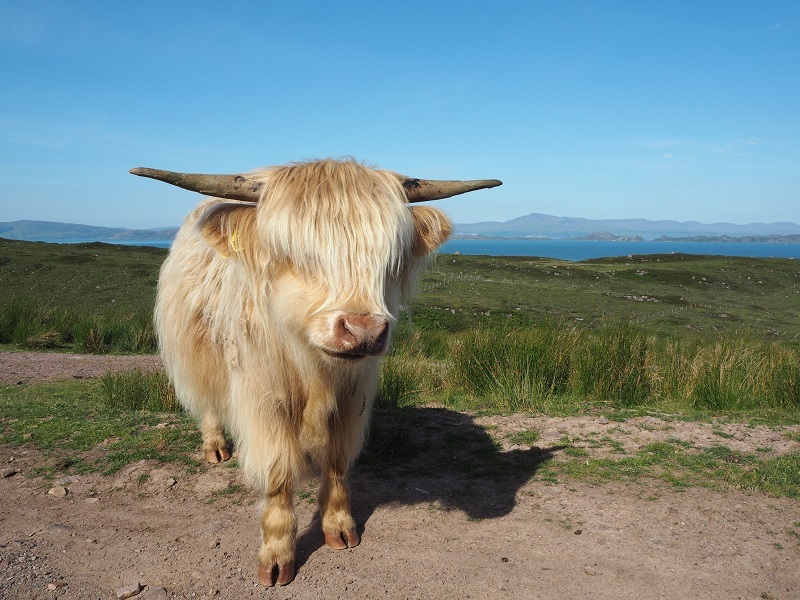 Not sure what to pack for your Scottish adventure?  Read our guide here! 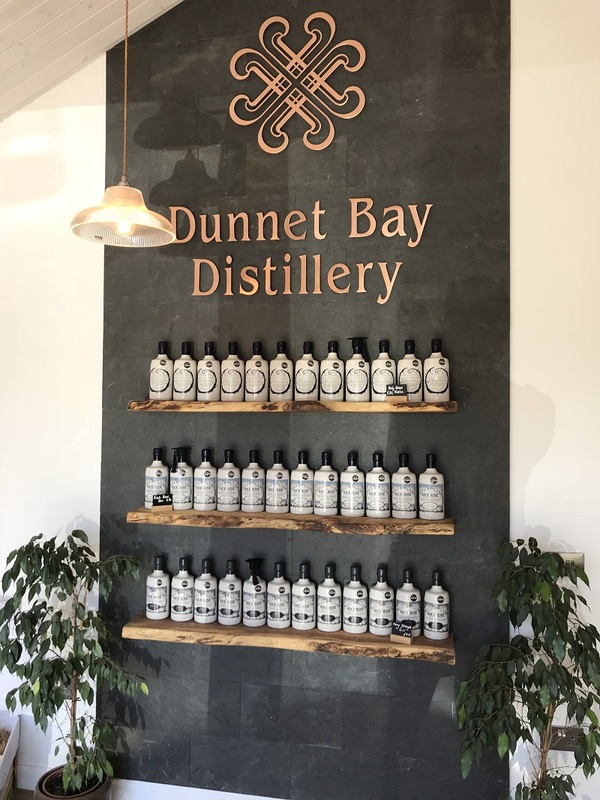 From Ben Hope, we quickly found our way back on course and made our way to Dunnet Bay Distillery - the home of Rock Rose gin and Holy Grass vodka! 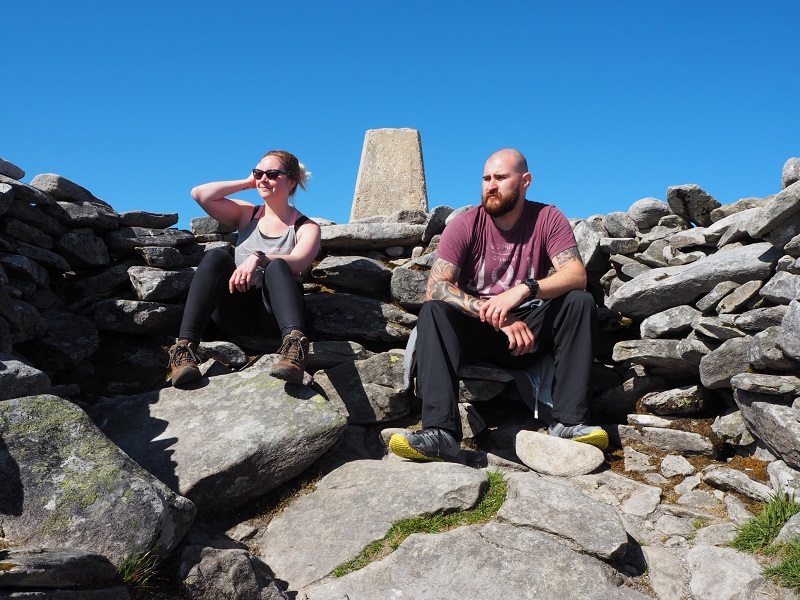 They offer tours Monday - Saturday until October, which I would have 100% booked in for if I hadn't wild camped, climbed a mountain and not yet showered! Luckily they also have a wee shop which I nipped into to stock up on gin! 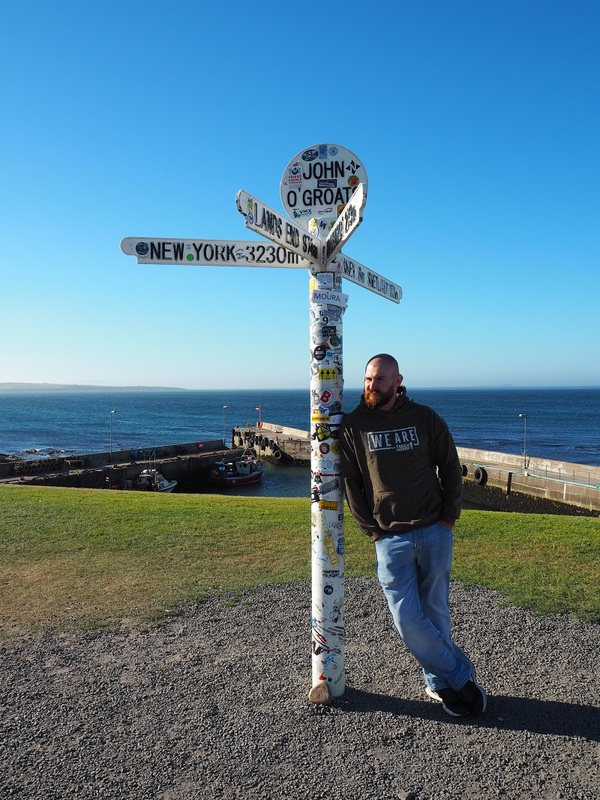 It's also right next to Dunnet Head which is actually the most Northern point of mainland Britain, despite John O'Groats being the more commonly recognised! 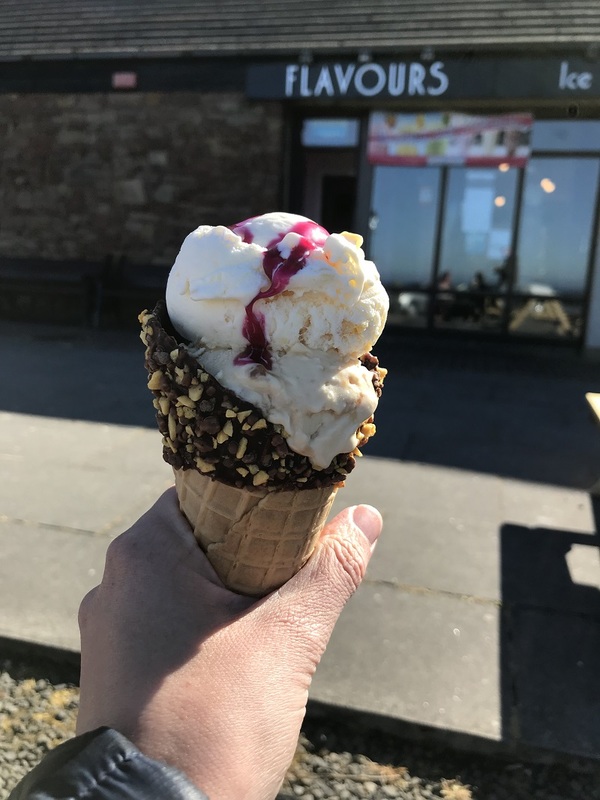 Speaking of John O'Groats; check out the nearby Duncansby Stacks, snap that picture with the sign, grab an ice cream at Flavours and then move on. There's not much more to it than that. We stayed overnight and wished we hadn't! 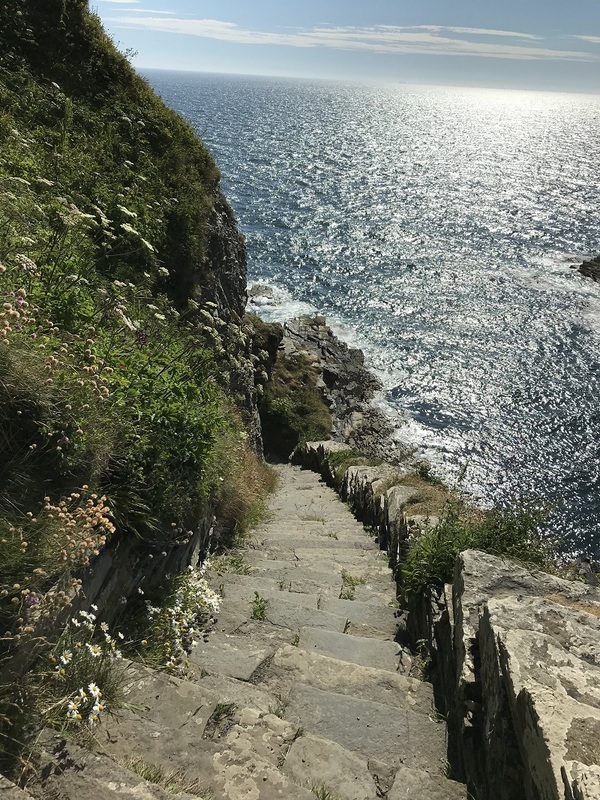 330 steps down a cliff edge to a small natural harbour dating back to the 1800s, the Whaligoe steps are not for the faint hearted. 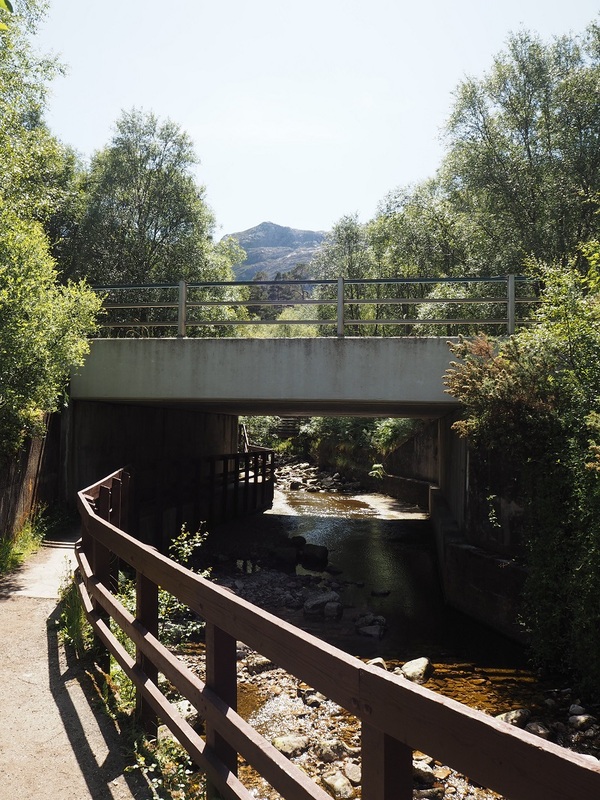 They're well maintained but a bit uneven in some places, and not somewhere you'd want to be when it's blawin' a hoolie as we say in Scotland! Imagine how strong the fisher women must have been carrying baskets of herring up the steps every day! At the top is the Whaligoe Steps Café which I've heard good things about, although from our experience don't go in the morning. 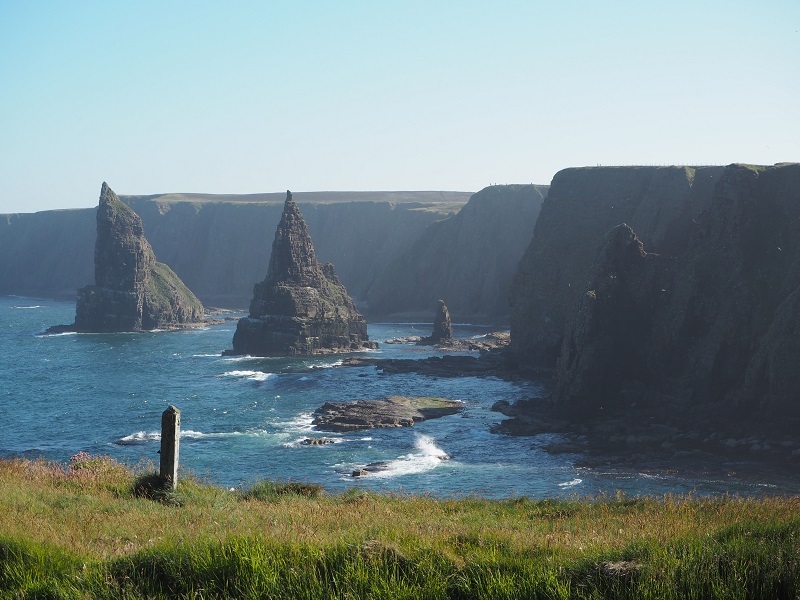 Read more about the steps on A Highland Blend, where you'll find lots of Caithness inspiration for your NC500 trip! 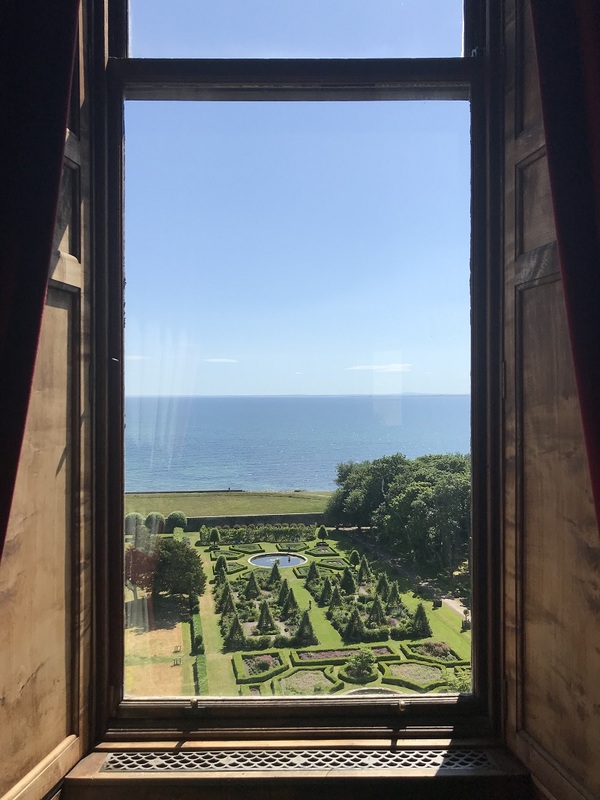 I spent the whole of our journey here telling Gordon all about how it was used as the filming location for the gardens of Versailles in Outlander... only to get there and realise that was Drummond Castle Gardens! 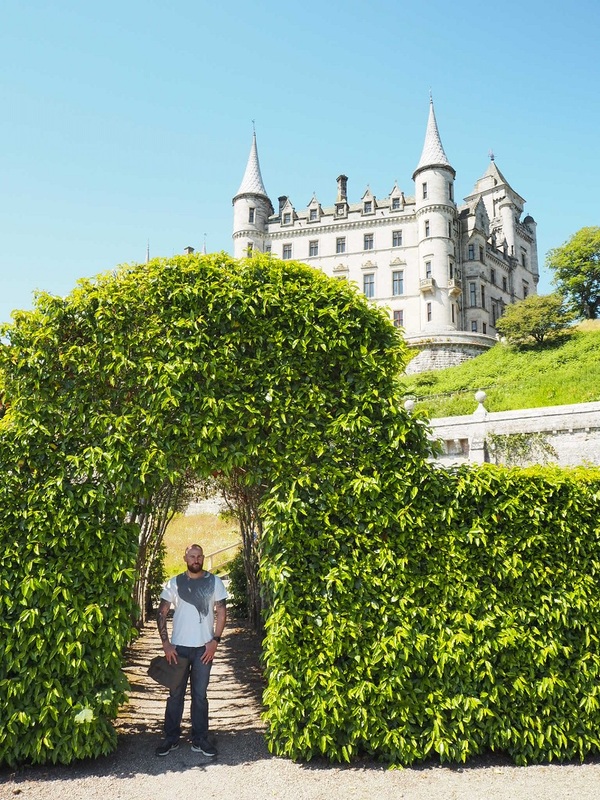 On the plus side, Dunrobin is a stunning castle that looks more like something out of a Disney fairytale than the usual rugged Scottish strongholds we are used to seeing. 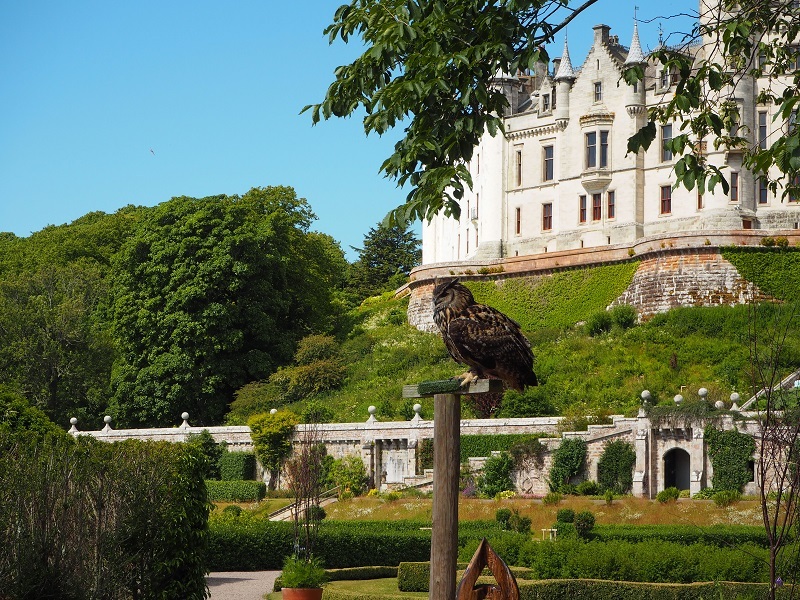 It sits on a terrace above a gorgeous garden, where you can even enjoy a falconry display, and overlooks the Moray Firth. Entry costs £11.50 per adult and includes access to the castle, museum and gardens. 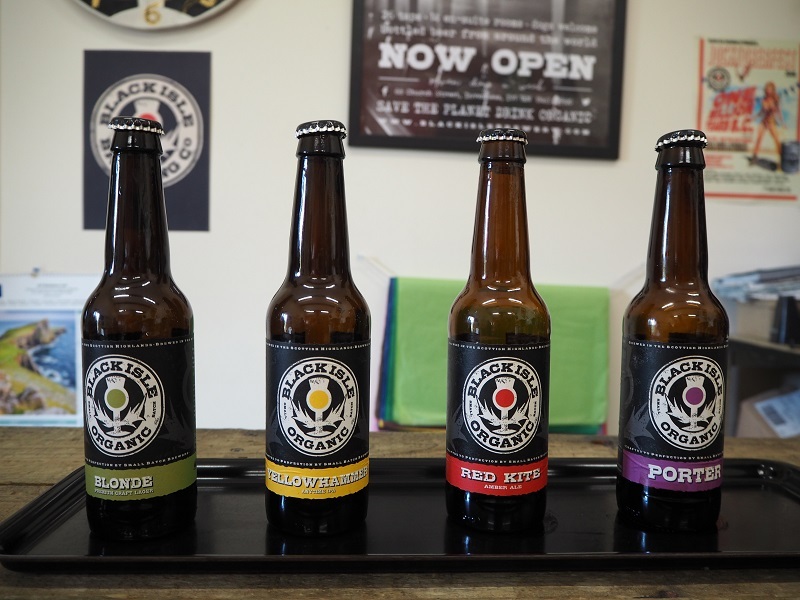 The final stop of our North Coast trip, was the Black Isle Brewery, on the Black Isle peninsula by Inverness. 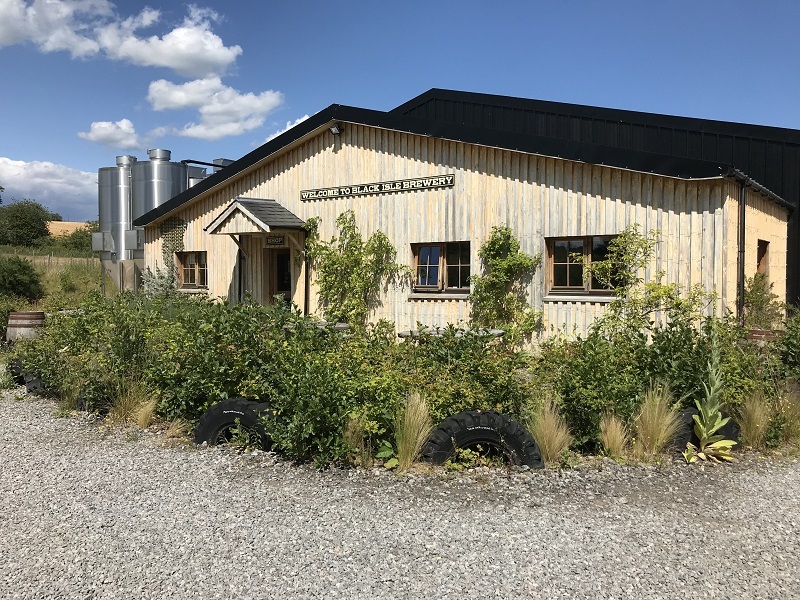 The brewery is in a lovely secluded countryside spot and the best thing is, the tours are free! Our guide was a lovely friendly lady who invited us to join another couple for the tasting before the brewery tour itself. Well worth checking out! 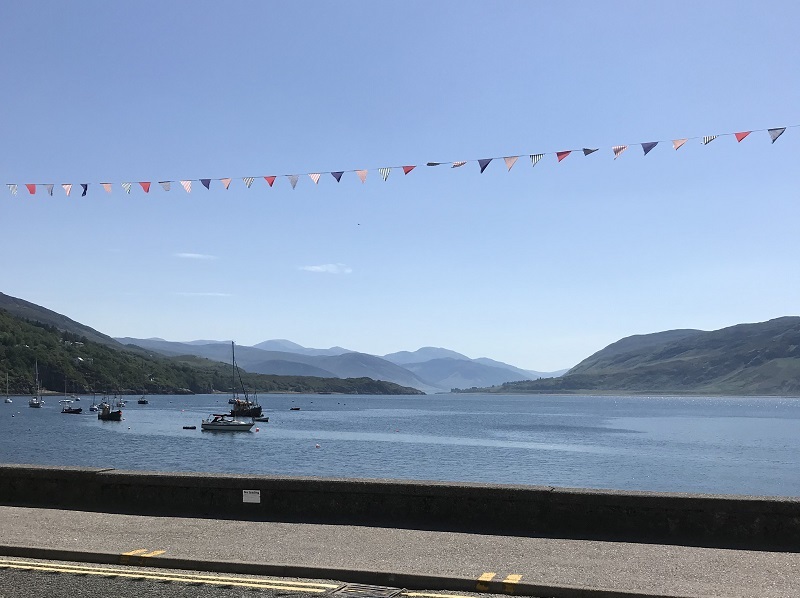 Of course there are a lot more attractions along the North Coast 500, but with just 6 days to complete the 516 mile route - these are our top picks! 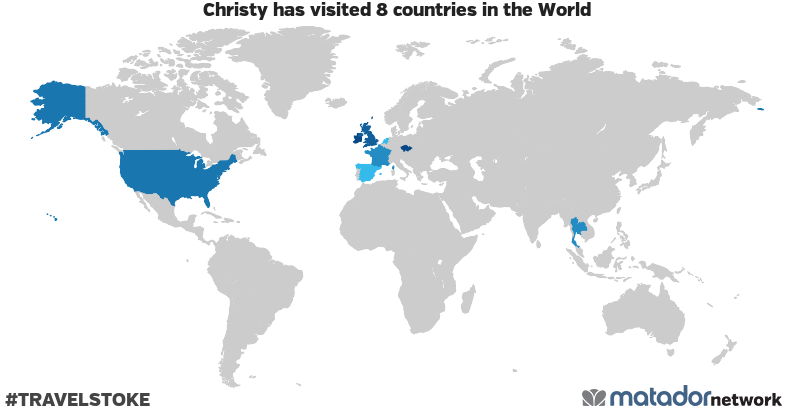 We hope to revisit some places in the future so I'm sure I'll be adding to the list. It's worth noting that some tours are seasonal and only operate on certain days or at certain times so please check their websites before planning your visit! 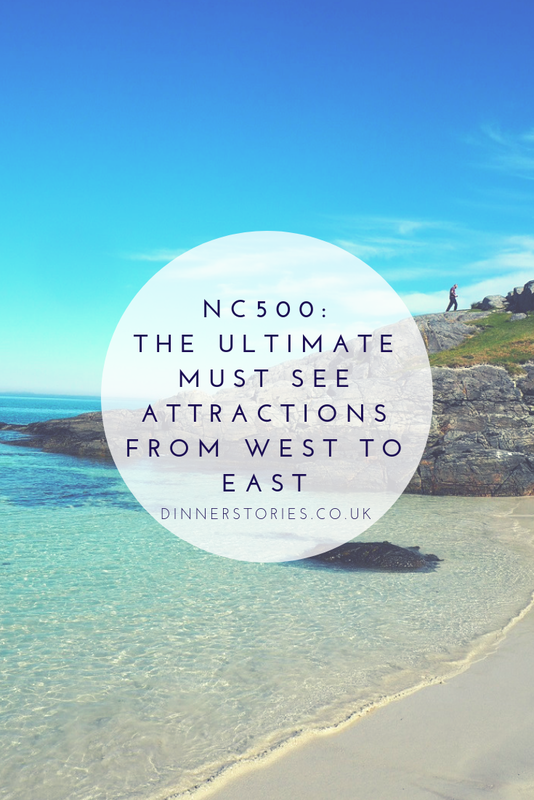 Read our guide to 5 beautiful places to camp on the NC500!